This is a great stamp for a special occasion like a wedding or anniversary. I photographed a beautiful Dahlia garden at the Golden Gate Park in San Francisco a month ago. I was there just in time to see a large garden of a variety of Dahlias in full colorful bloom. 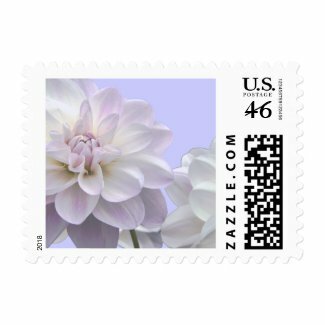 This stamp has a light lavendar shade with cut-out Dahlias in the foreground. This is a small size showing but it can be customized by you in medium and large size too.